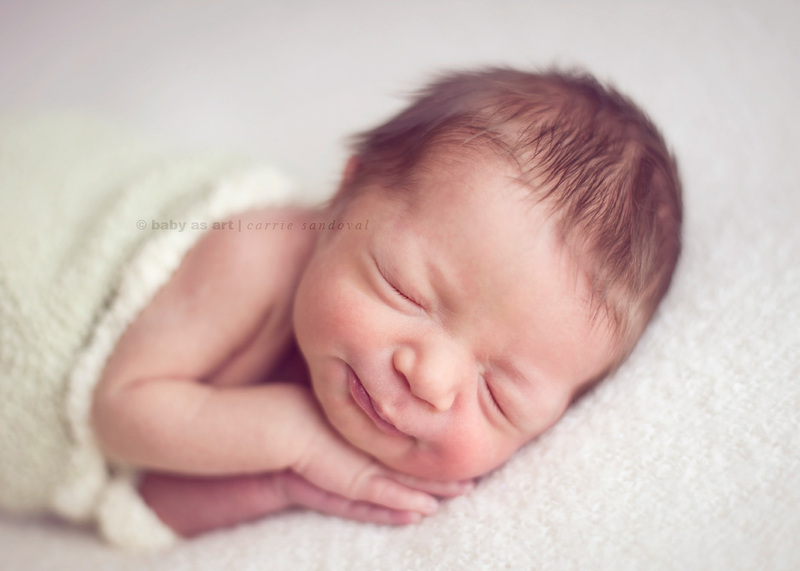 Related Articles: 5 Questions to Ask Before You Start Newborn Photography The 2 Best Newborn Photography Lenses Everyone Must Have! 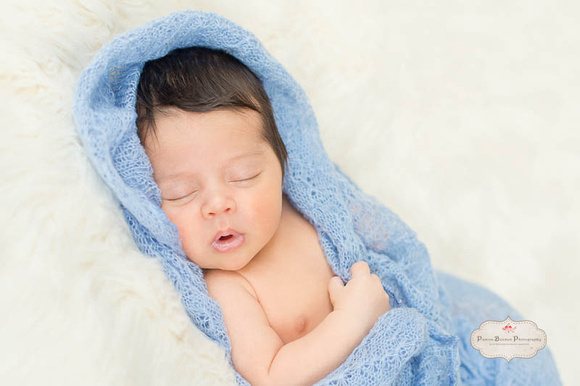 How to Prepare for a Newborn Photography Session – Our 3 TopTips! If you are only using natural light to illuminate your one-month baby portraits, windows are key. A nice big window is an amazing tool for photographers. When you think about it, a window is really just a nice big softbox. It acts as a large light source that is naturally diffused and works great for portrait lighting. This is great news because they are free and almost everywhere. Photo Tips & Technique 7 Key Tips for One-Month Baby Photography! In this article, I am going to give you some practical ideas to help with one-month baby photography. 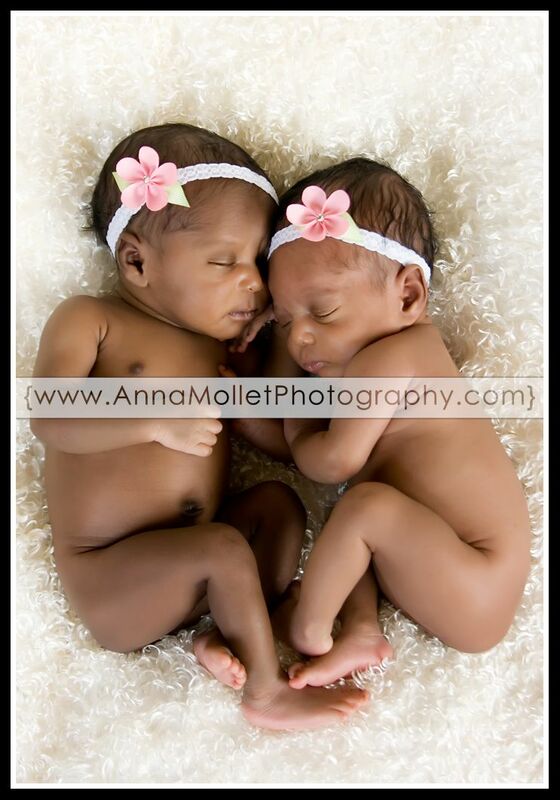 I will also try to guide you in baby photography in general and give some pointers I have learned over the years. 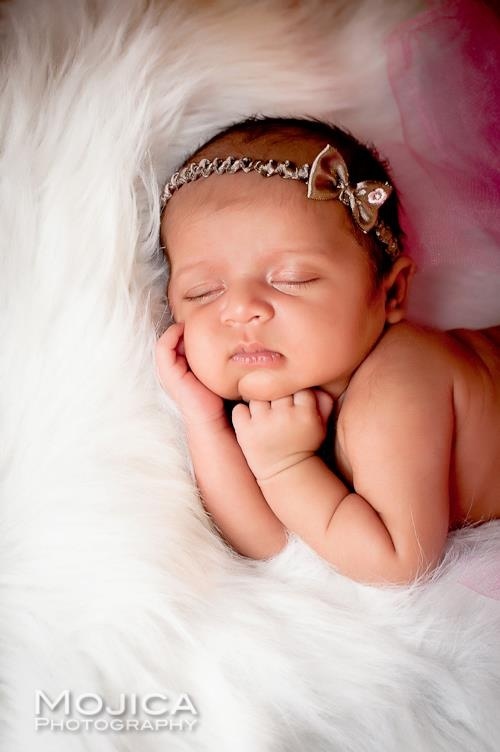 There is no need to be afraid of baby photography and the results can be very rewarding. 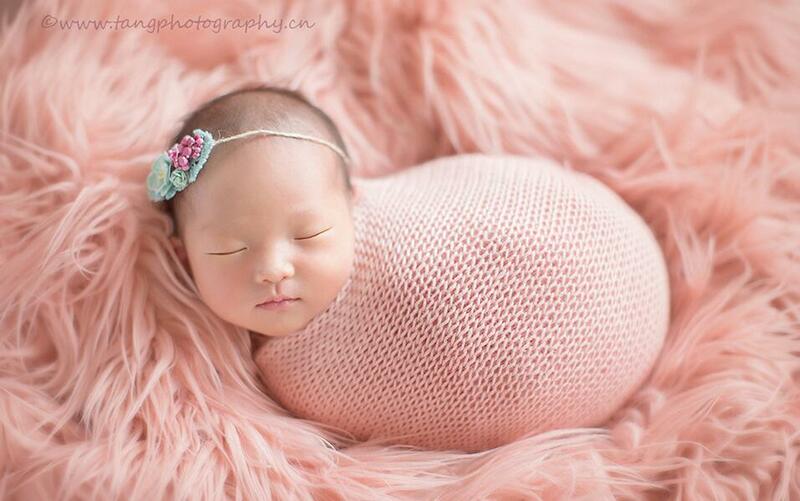 Another trick that I employ when doing one-month baby photography is womb sounds. You can simply look up womb sounds on youtube and play them through your phone. What I usually do is turn on a womb sounds video and place it under the babies blanket. This is just another way to make the newborn feel secure and comfortable. It makes the environment feel just like the womb and they will fall fast asleep. If you do not own a reflector already I highly recommend that you pick one up. They are very inexpensive on Amazon and the uses are endless. In the case of baby photography, you are most likely going to be shooting indoors. If you are just using natural light to light the shot, a reflector will come in handy. 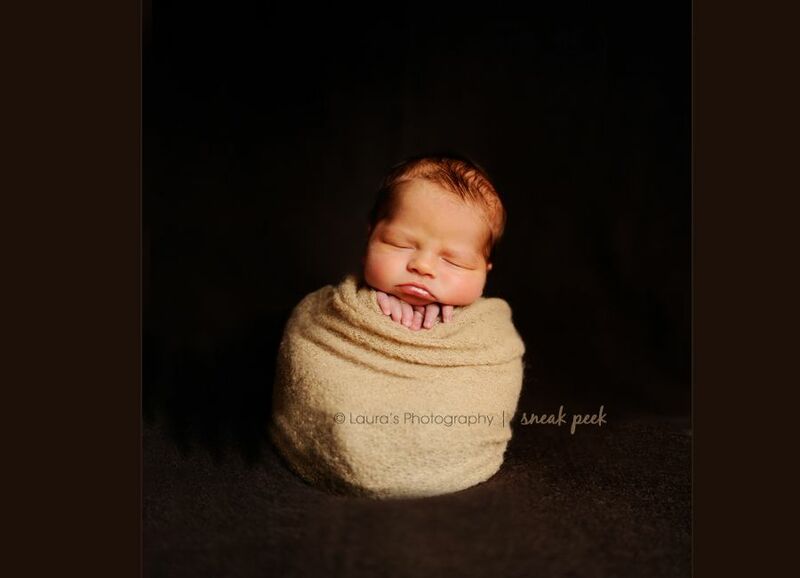 When I am doing newborn photography I usually set up near a window. I then use primarily the white side of the reflector to bring in the light. If you use the silver or gold side it usually ends up being pretty harsh and with baby photography, the aim is a more soft light. By using a reflector though, it will give a more polished, professional look that will set you apart from the competition. Once you have found a room with some nice window light, you can finish setting up for your shot. You want to set up your blanket or beanbag chair so that the window light will be either directly hitting your subject or hitting from the side. You can control your light by then moving the subject closer or further from the window. One of the best parts of baby photography is that you really don’t need a lot of space. I have found that bedrooms work really well for these portraits because you can place the baby on the bed. If you want to get a really polished look you can hang up a blanket to act as the backdrop. By setting it up at least 5-8 feet from the subject it will become blurry in the photos and look very professional. If you have ever looked at one-month baby photography, props are essential. You probably have a lot of the things you might need just laying around the house. 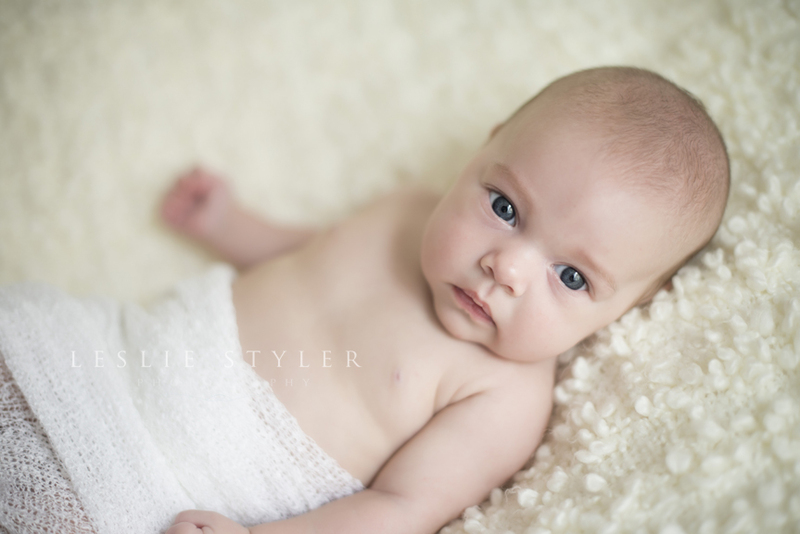 For instance, a soft blanket, a basket, and a bean bag chair are all invaluable when doing baby photography. You can set up a blanket to act as a background as well as something for the baby to lay on. You can put the baby in the basket to create a really cute image. Bean bag chairs are incredible because they can both make the baby feel safe and serve as a great prop for the baby to be laying on. You will also find some sort of heating device and a simple reflector will come in handy, I will discuss these in the next paragraphs. 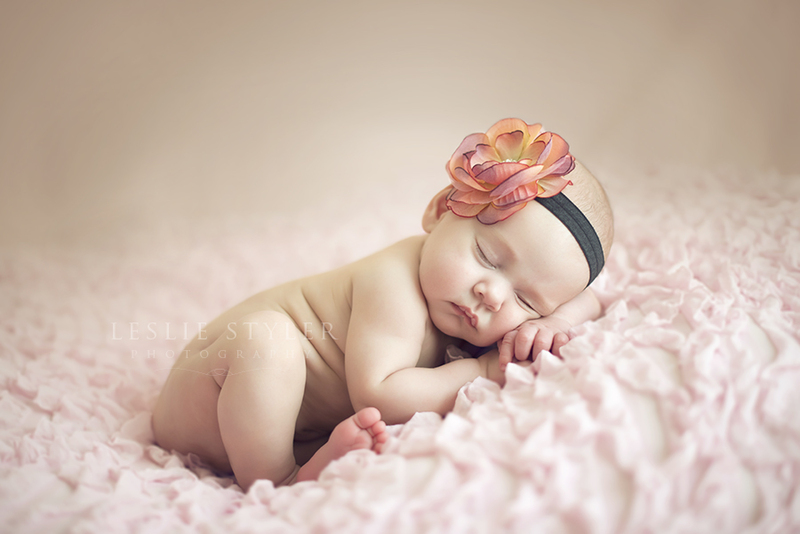 After you have set up your photo shoot with your client, you will need a location to photograph the baby. One of the best things about baby photography is that you can do it virtually anywhere. It’s really easy to create a pop-up studio in anyone’s house. If you do end up using someone else’s house make sure you can set up near a window with nice light. Window light is going to be your friend when shooting a baby. Another great aspect of baby photography is that you don’t need a lot of space. So if you do have an extra room in your house, it’s easy to convert it into a studio. You can have it all set up for when your client arrives and it save all the time of setting up at another house. Depending on how your light looks, you can use your reflector. Reflectors are especially helpful when you are backlighting or side lighting the baby. By using the white side of the reflector you can achieve a really nice even light. If you are having trouble holding the reflector while shooting, moms are usually more than happy to help. Make sure to shoot using a large aperture to get that nice blurry background. When using a large aperture don’t forget to make sure your focus is always sharp in the eyes of your subject. Also show mom an image every so often. It will put them at ease and make them happy to see how good the photos are turning out! I recommend feeding the baby right before you are going to start the session. You can schedule the shoot around the babies feeding schedule to ensure that this happens. 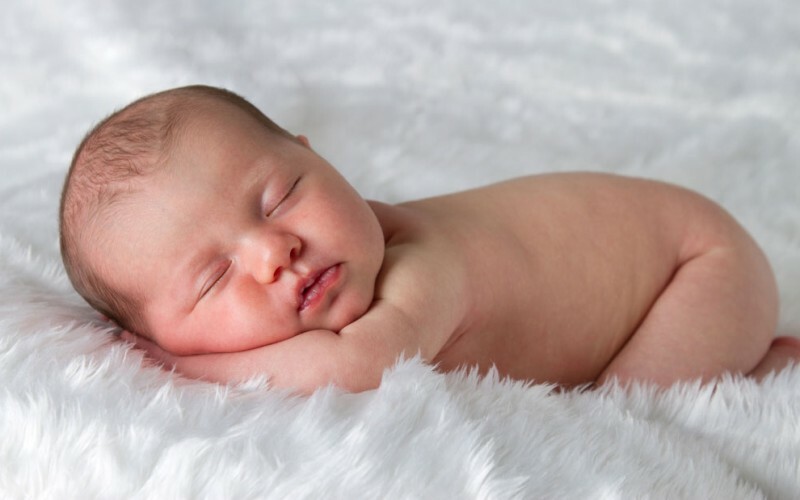 When newborn babies eat they get drowsy, this is good news for you! Grab your electric blanket, heat pad, or space heater and put it near or under where the baby will be laying. Place the newborn into position and make sure they are nice and comfortable. Don’t forget to also place the noisemaker under the blanket so they feel right at home. I would also recommend that you do all of the clothed shots first and save any naked photos til the very end. Babies tend to get cold really easily, especially when they are naked. 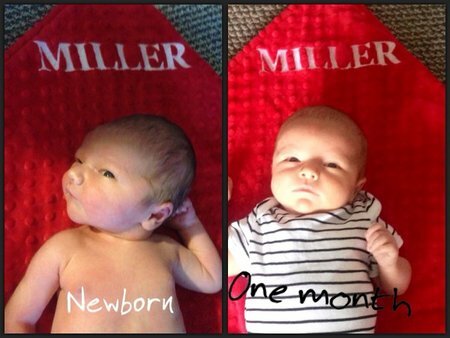 One month baby photography is nothing to be scared of. Start off by doing some free shots for your friends or neighbors. Nobody will turn down a free photoshoot and it allows you to get comfortable with the setup. Once you have done a few shoots and get used to the lighting the rest is a breeze. You will start to achieve your own style and everything will become second nature. 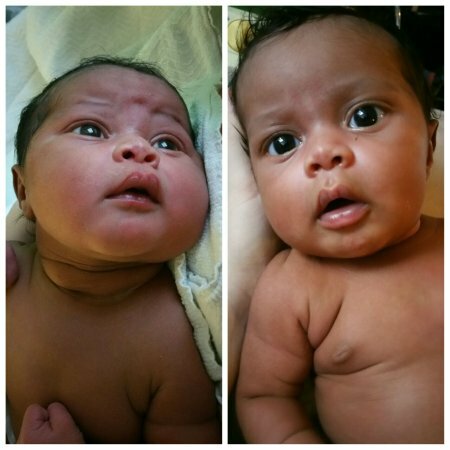 As long as you follow these tips, photographing babies is a breeze!